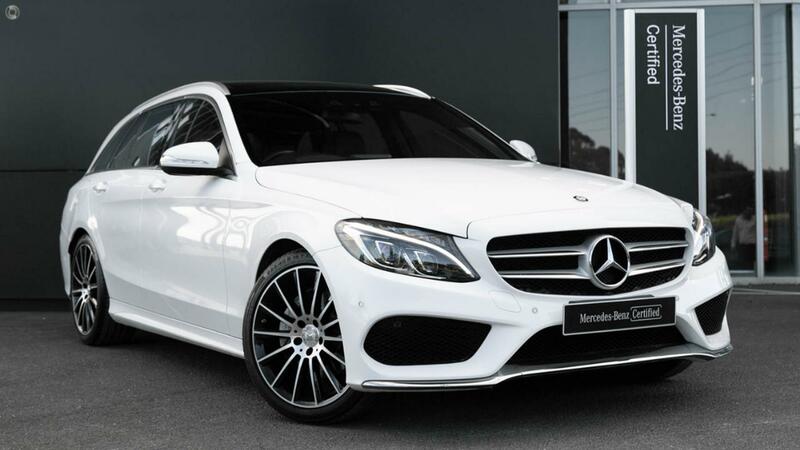 Australia's Most Awarded Mercedes-Benz Retailer proudly presents this Certified low kilometre C200 AMG-Line Estate with the assurance of 2 Years 100% Mercedes-Benz Factory-Backed Warranty & 2 Years Mercedes-Benz Roadside Assistance Applicable Australia-Wide. Very highly specified and perfectly presented in pristine Polar White over Black AMG ARTICO featuring Vision Package with Head-Up Display, Seat Comfort Package with Heated Front Seats and the full suite of AMG-Line appointments. Take the wheel of your immensely safe and fantastically frugal C200 AMG-Line Estate - ONLY from a Certified Mercedes-Benz expert and the reigning "Mercedes-Benz Metropolitan Retailer of the Year" again, for the 5th time in 6 years! - 7G-TRONIC PLUS 7-Speed Automatic Transmission.